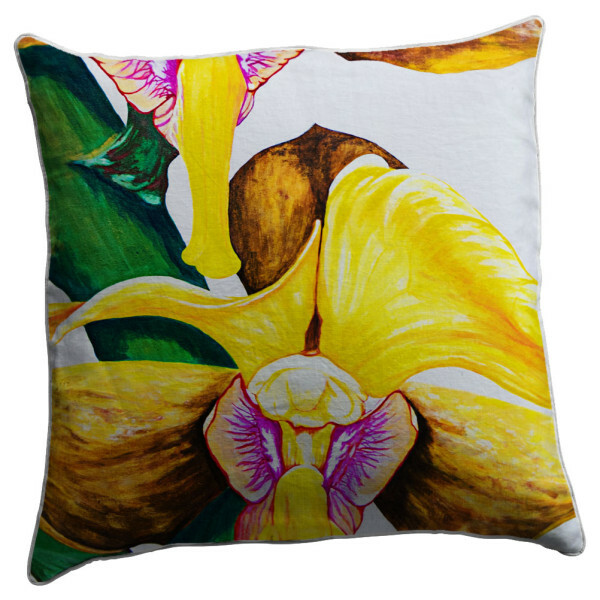 about my products, range, materials used or shopping question. 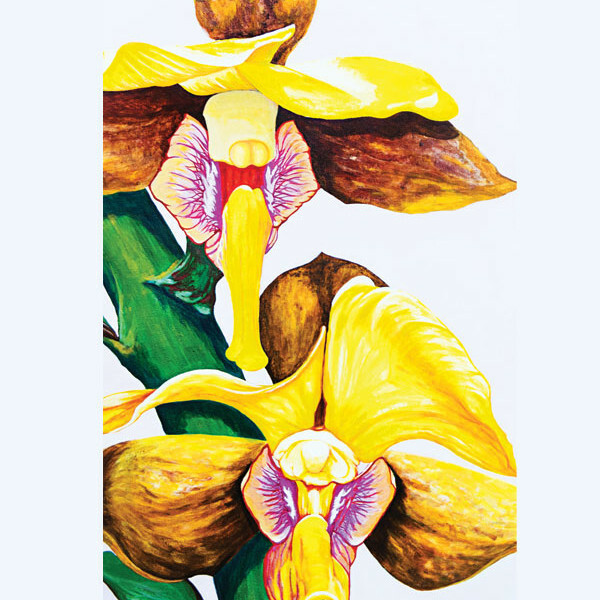 From her peaceful outdoor studio under a lush canopy of trees, surrounded by birdsong and ocean views, Umtentweni-based artist Helen Dodge creates bold, bright paintings that also translate into striking textile designs. 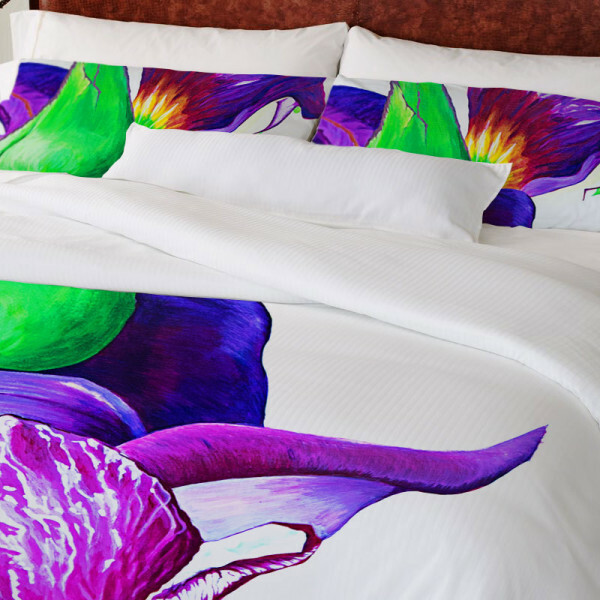 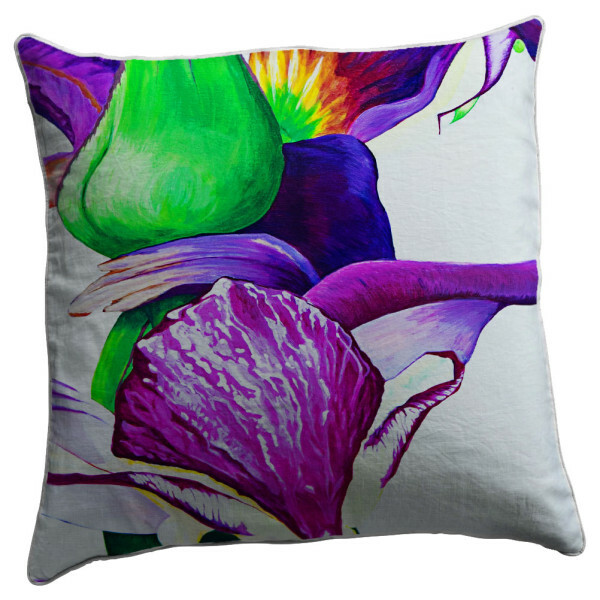 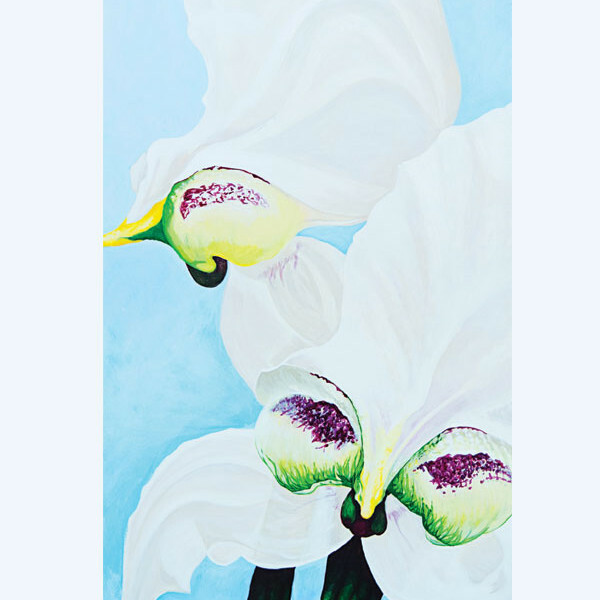 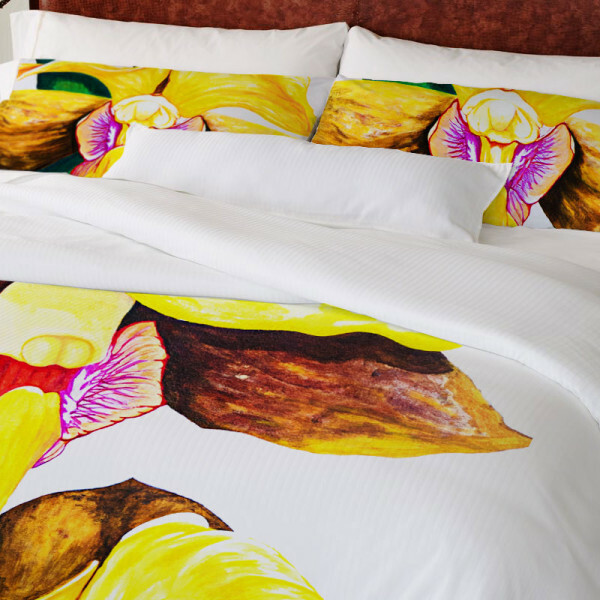 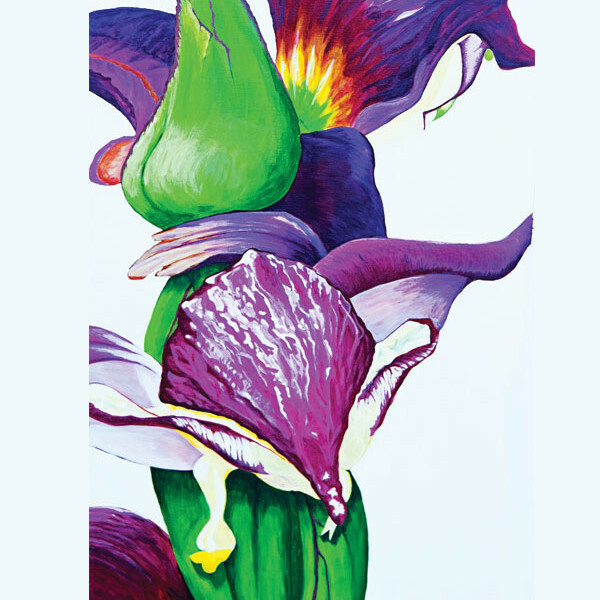 Fresh white irises, majestic strelitzias, charming tibouchinas, vibrant coral flowers and iridescent sunbirds are printed onto scatter cushions, bed linen, headboards and even wallpaper, with stunning results. 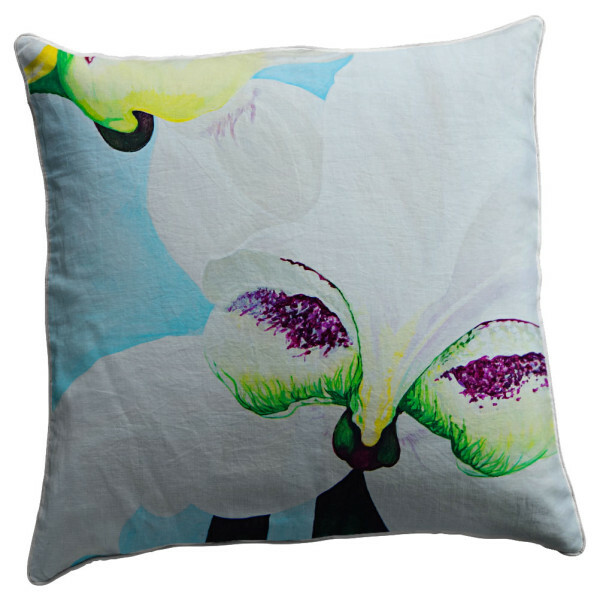 Whether indoors or out, these pieces perfectly complement neutral décor schemes and geometric patterns.